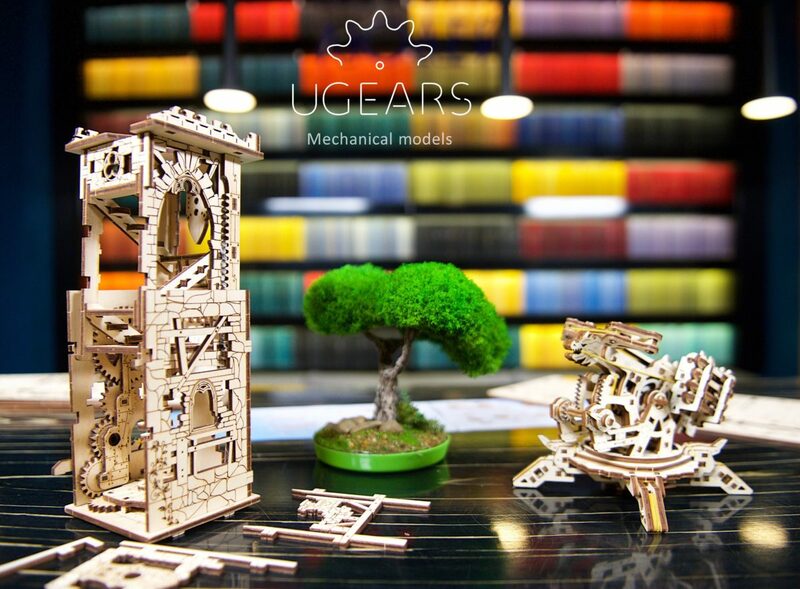 UGears is inviting you to take a journey to medieval times and become a siegecraft expert with its Archballista and Tower. 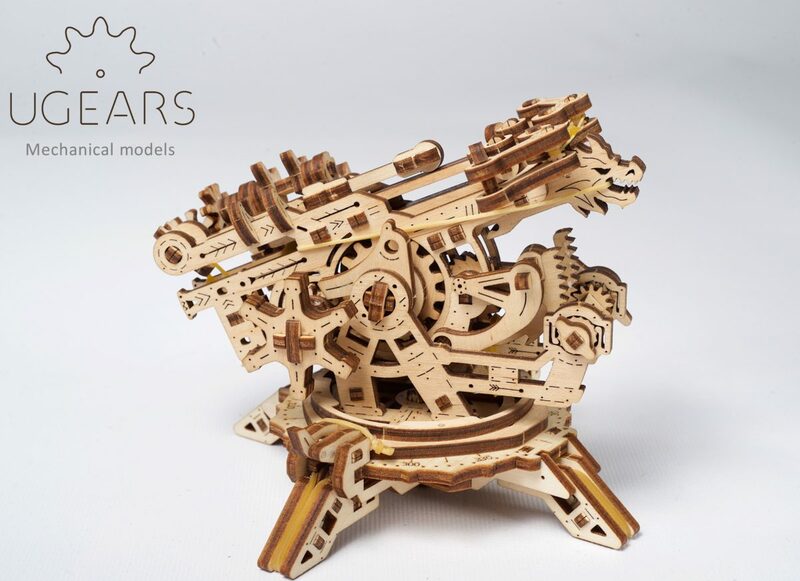 This new model was created based on examples of ancient artillery of passed-time legendary battle chronicles described in historic novels and movies. 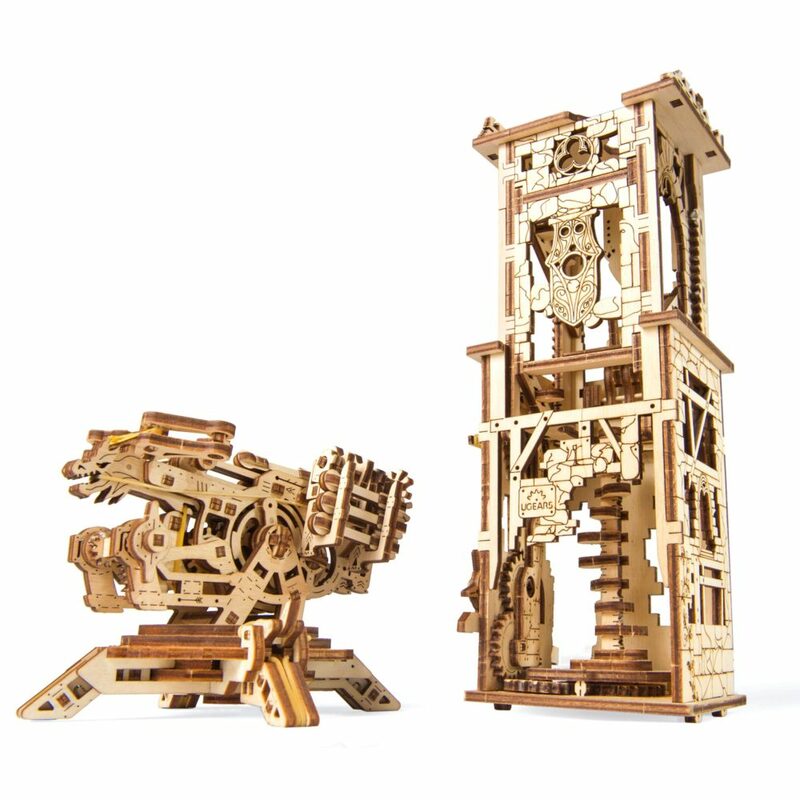 Put on your knight armor and test your great conqueror’s skills with new UGears Archballista and Tower! 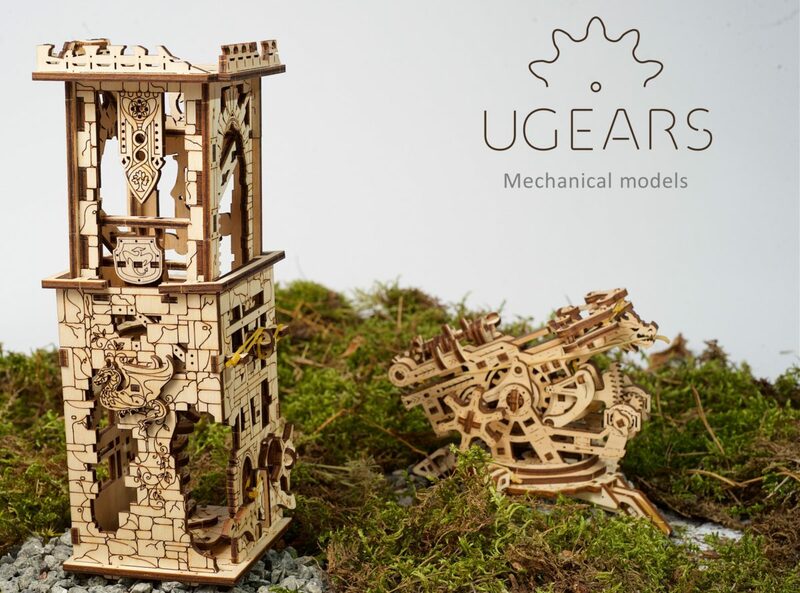 This new UGears creation consists of two separate pieces: the Archballista and the Tower, both, fully functionable and movable. 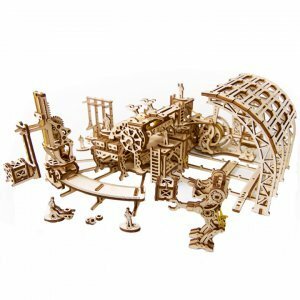 The Archballista is made of two modules: the base, that provides a stable support for a unit, and a firing component, that actually shoots wooden bolts, up to four bolts in a round. Use traverse and elevation mechanisms to set a required angle in horizontal and vertical panels to ensure the best aim. 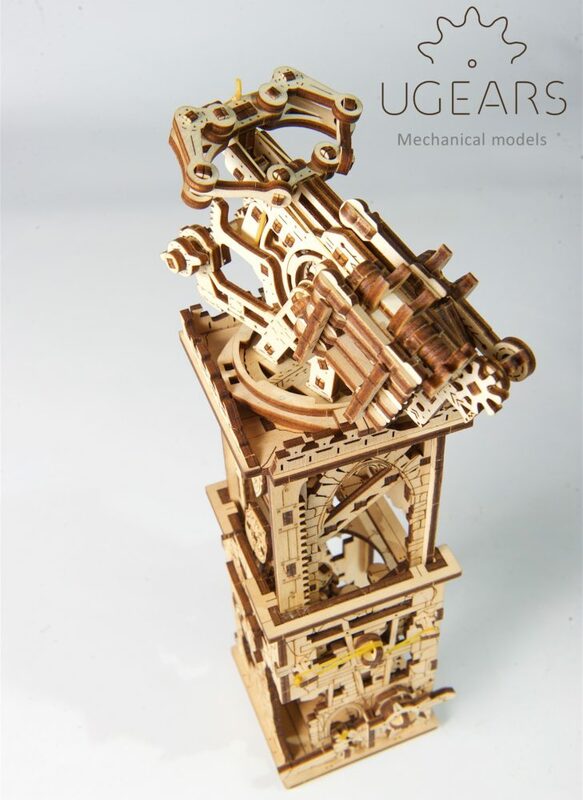 The lever of winding mechanism on the right side of Archballista functions as a trigger to launch bots at the target when the aiming is set. 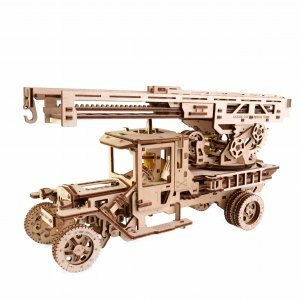 The firing part of this module is detachable, and can also be installed on the top of the Tower. 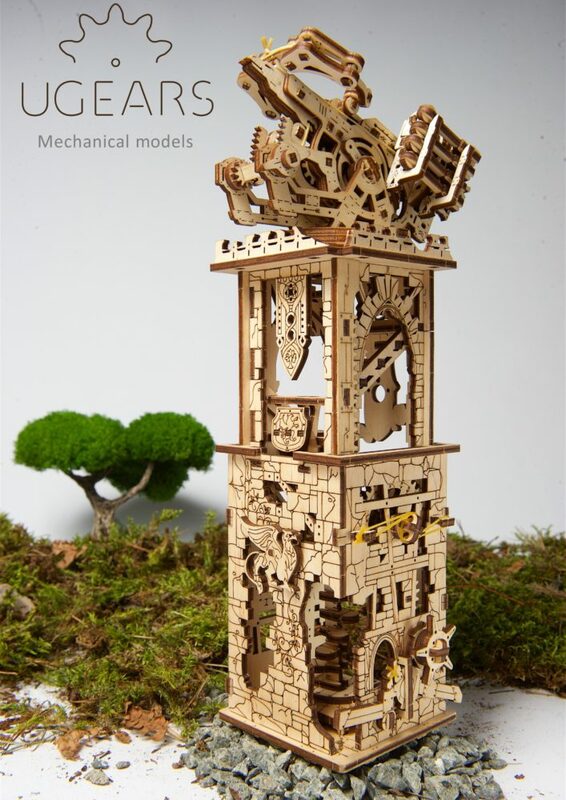 Few intriguing construction features are hidden under the delicately ornamented tower. The gear on a side of the tower activates the raising/lowering mechanism that extends the tower to the second level revealing a spiral staircase and interior structure. 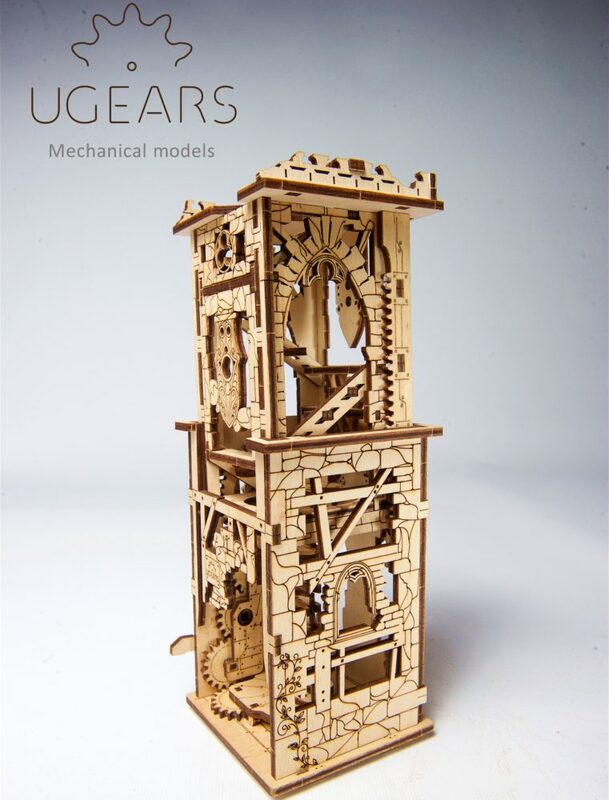 This model is unique because it can be used as a single module to reenact medieval siege games and as a two-piece in multiple-player artillery battle when the Archballista charges against the Tower. Archballista: 3.5" x 3.2" x 5.6", Tower size: Tower: 6" x 3.7" x 3.8"
Aa a high school history teacher an a professor of philosophy I can appreciate this unique reincarnation of ancient warship piece. Teaching history to high school kids utilizing text books and printed material is a challenging task. This is when models like Archballista and Tower come extremely handy. 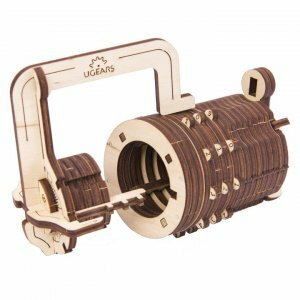 They offer a unique hands-on experience and help to submerge into the atmosphere of medieval times. 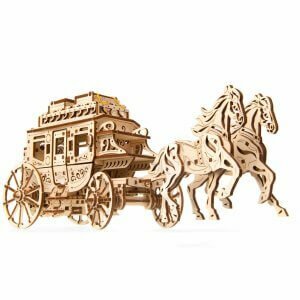 I look forward to discovering more exciting ideas to enhance learning process via the visual elements such as Archballista and Tower.